I may have mentioned in prior reviews the difficulty there is in not being swayed by mass opinions, namely my followers who may disagree with my opinions, or the mass decision from critics- because they’re generally very similar. 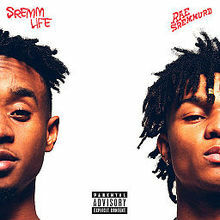 Rae Sremmurd’s SremmLife received notable acclaim from critics, in which earning 76/100 from Metacritic, so with that in mind, I went into the LP with large expectations of being wowed by the duo I didn’t really know a lot about. Jesus Christ how is music like this still being created? It’s just a horrendous listen from start to finish, I could literally make this music- anybody could! Bass, bass, clap, trap drum pattern, ad-lib- you’ve now got the beat for all eleven songs on Sremmlife. It’s just such a lazy piece of music from a productional point of view, I know Mike WiLL Made It is for some reason tipped as the next DJ Premier, but how can anyone give the man props for constructing beats with less invention than Pitbull’s haircut? Vocally and lyrically? Where do I begin? Rae Sremmurd quite literally sounds like two children have picked up a mic, and have been told by their rich label-head stepdad that he’ll put them out on an LP as a little project at the weekend when they come to visit. The ad-libs at the end of every single line? The horrible criss cross between the pair’s slightly distinguishable voices? It’s just a car crash of claps, autotune and ‘No Flex Zones’. To put into perspective, Big Sean’s guest spot feels like an oasis in a vast desert of horror. Thank God it’s all over and I never have to listen to Sremmlife again.